Like all investments, taking out a non recourse loan with your self directed IRA or 401k could be a financially regrettable or rewarding decision. It comes with its own set of implications, requirements, and risks, and the decision to invest in real estate using a self directed IRA should not be a hasty one. So before you take the plunge, seek the answers to these three questions — preferably from a trusted loan lender. 1. Can the IRA or 401k afford to make the loan payments?Loan payments are due every month. A non recourse loan with an IRA is unwise if you have any doubt that the IRA can make the payments — period. Typically, the underlying asset securing the loan, such as a rental property, should produce enough in monthly rental income to not only pay the operating expenses of the property, but also provide plenty of liquid funds each month to make the loan payment. Selective focus on a golden egg identified as IRA, with a second egg labeled 401k in the background. Both are financial mechanisms to save for retirement. The eggs are sitting upon many one dollar bills. Represents the choices we make in planning for retirement and what we put emphasis upon. If there is no collateral producing monthly income, you may be forced to liquidate other assets. Why sell and liquidate other IRA assets to make loan payments? That doesn’t make sense. The exception is if you expect a large gain when you sell the investment. 2. Is there excess liquidity within the IRA or other liquid assets? If your IRA doesn’t produce excess liquidity or you don’t have a secondary source of liquid assets inside of the IRA to repay the loan, you shouldn’t consider taking out a non recourse IRA loan. Even a rental property may fail to produce income for a short period between renters. Without extra liquidity, you could potentially lose the investment due to foreclosure by the lender. So be sure the account has the additional liquidity at all times to make the loan payments. 3. Does the asset securing the loan carry sufficient value to pay off the loan if it is sold? The value of the underlying asset should always be enough to pay off the loan if the asset is sold or liquidated in a timely fashion. The advantage of this is that other assets within the IRA or 401k will not have to be liquidated to pay off the loan, which is never a good thing. The challenge, though, is making sure that the asset will hold its value for the period of the loan, which may depend on economic and environmental factors that are beyond your control. 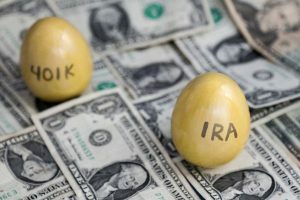 Is There a Perfect Formula for an IRA or 401k? Unfortunately, there isn’t a perfect formula that will tell you whether to borrow with your IRA, but borrowing can make sense if the following are true. The investment and the use of a non recourse IRA loan aligns with your investment goals and strategy. 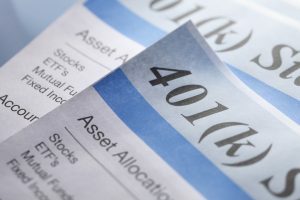 There are enough funds in the IRA or 401k to cover the down payment and closing costs, with additional liquidity inside the retirement plan to cover unexpected expenses or times when there isn’t incoming rental income. You have sufficient confidence and knowledge to manage the investment effectively, or you have plans to hire a competent management company. The cash flow will produce sufficient monthly income to not only pay all the operating expenses and debt service of that asset/investment, but also throw off positive cash flow every month. The asset is expected to increase in value over the coming years and carry sufficient value to pay off the loan balance when it comes time to sell. To learn more about borrowing with your self directed IRA or 401k, or to discuss non recourse loans, visit our website www.myiralender.com. You can also contact First Western Federal Savings Bank by emailing Jeff Fullerton, Roger St. Pierre, or Nick Conway. We’re always available and are here to help. Our phone number is 800-908-8845 and we answer the phone! We do not use voicemail, so you will always talk to a loan officer or person when you call our bank.